When Did I Stop Playing in the Rain? When did I stop playing in the rain? The lines are so gray and blurred I can’t remember. Certainly, I encouraged my children out the door, clad in swimsuits with umbrellas in hand. the way my mother did when I was a child. I loved playing in the spring and summertime rainfalls when there was no thunder or lightning. Thinking back, I can’t remember ever joining my children, which is sad. I’m pretty sure I watched them from a window indoors. 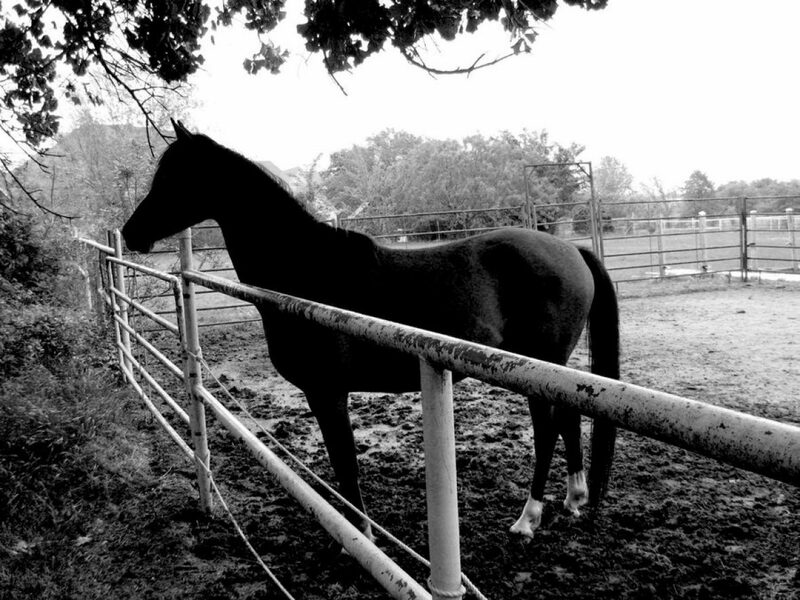 It was my garden and horses that opened my eyes to enjoying the rain again. As I stubbornly worked to finish a job I began despite a deluge falling from the sky. Watching my horses run and skip through the pasture in play, hanging their heads over the fence curious to see what I was doing, summoning me to play too. When my husband and I first bought our place in Colleyville, I had a delightful experience in the rain, that taught me an important lesson. I wrote a story about it later. It’s called, “Morning Rain.” Hope it brings peace to some of you too! Thunder and lightning boomed across the sky, illuminating my room, disturbing my sleep. Another loud crack bellowed and the sky released a deluge of rain. I snuggled deeper into my pillow, wondering if we were getting a classic, Texas, thunderstorm. My house was quiet; husband, still sleeping, seemingly untouched by the noise. I wondered if my children were awake too and like me, snuggling into their pillows hoping to fall back asleep. My thoughts turned to my horse, Rose. She hated thunderstorms! Recently, we had bought our property based on a barn where we could keep her in our backyard. We had only recently moved her to her new home and I was worried that Mother Nature’s racket was upsetting her. Another, menacing crack of thunder pierced the silence. Rolling over I checked the time; four o’ five in the morning. My spirits dropped, it’s too early to get up! Yet I was awake; wide awake. With my eyes shut, I listened to the measured sounds of the rain pelleting my house, with slivers of lightning periodically lighting my room. Again, my thoughts turned to Rose and I was filled with concern, wondering how she was fairing in her stall. Careful, not to disturb my husband or the sleeping cats at the foot of our bed, I slipped out from under the covers, padding in my bare feet to fetch the hooded cloak I wear when it’s raining outside. Our house was quiet and very dark as I donned the cloak, pulling the hood over my head. Slipping into my rubber boots, with a carrot and umbrella in hand, I left the warmth of the house stepping outside to the back porch. Despite the dark and rain, a tangible peace had settled upon our land. I walked across the backyard, holding the umbrella over my head, sloshing through deep puddles that had already formed. The worst of the thunder and lightning had dwindled, allowing the rain center stage. The only sound breaking through the noise from the rain, was the crunch of my boots against a gravel walkway leading to the barn. I was certain Rose could hear me approaching, yet she didn’t nicker her usual greeting. It wasn’t until I opened the barn door and stepped inside, that she raised her head happy to see me and nickered, as if to say, I’m so glad you’re here! The barn was cozy and dry, very inviting, with an earthy smell of hay and horse mixed with rain. Rose, not a bit disturbed by the storm, nuzzled my hand for the carrot. Breaking it into small pieces, I fed it to her, enjoying the way she begged for each bite. After the last bite was devoured, I fetched a pail, carrying it into her stall. Setting the pail to rest upside down by a gate separating Rose’s stall from the pasture. I sat on the pail, staring at the pasture through the cross beams of the gate. Rose continued to nuzzle me for bits of carrot. Eventually, she grew bored from her fruitless effort, and turned with a sigh to hand her head over the top of the gate. There is rest to be found in being still. Roosters started crowing off in the distance. Their off-key harmony was amusing. A few minutes later threads of pink appeared in the eastern sky. As if a conductor had cued an orchestra, birds begin to sing. My pasture looked how I imagine the Yorkshire Dales in England might look like on such a morning. Rich, vibrant green grass, sodden with rain. A fine veil of fog blurring the lines to the fenceposts and jumping standards, softening the land. Rose had moved to a corner of her stall, hanging her head close to the ground, her eyes half shut, lower lip loose. Her body was silhouetted against the early light. Her white blaze literally glowed against the contrast of her chestnut fur. Walking over to her, I wrapped my arms around her neck, burying my face in her mane. Her body was warm against the morning chill. I stayed with her for several minutes, taking in her sweet horsey smell. And then I noticed… the first streaks of dawn. One of the Purple Martins had left his nest and was perched on the rim of the birdhouse. Another, just peeked its head out, as if evaluating the rain, which had dwindled to a light mist. Daylight was near, but its appearance was an evasion upon my seclusion with my horse. I wasn’t ready to part with the memory of the morning-night! Kissing Rose’s nose, I bid her goodbye and left the barn, making my way back to the house. As I slipped inside, the house was still quiet, my family soundless, including the cats, who hadn’t moved since I left. Carefully, I crawled back into bed, cuddling close to my husband. Reflexively he wrapped an arm around me. I felt myself surrendering to sleep, holding the memory of the barn, the future for the day. It would be a lazy day, we had nothing planned, we could rest. Outside, the rain fell harder. Its rhythmic beat was soothing. I drifted off with my mind full of His peace.